WXXI's Beth Adams talks to prospective home buyers and a long time local real estate agent. 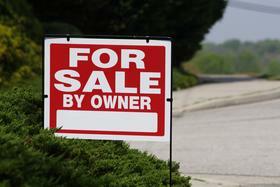 The latest report from the Greater Rochester Realtors Association suggests the market may be shifting. That's welcome news for some home shoppers we talked to recently. We also got some perspective from a real estate agent who's been selling local homes for nearly 30 years. Click on the LISTEN link above to hear this report.